Here is a list of the 7 coolest saltwater aquarium fish for beginners. If you are looking for a cool saltwater fish, you might want to start with the list here. Caveat 1: the fish can also be slightly impractical, for one reason or another, so be sure to read the whole article to get the pros and cons, the fishes on this list of the 7 coolest saltwater aquarium fish for beginners are not going to be appropriate for every situation. Caveat 2: I’m being a bit liberal in my definition of ‘relatively inexpensive’. Some of the fish on this list can cost ~ $40…er…sorry…but coolness has a price. I asked the coolest person I know…but they think saltwater aquariums are nerdy, so I made the list up myself. You didn’t see that one coming, did you? The Longnose Hawkfish is truly one of my favorite fish. I know that I’ve probably said that 300 times on this website already–and I may end up saying it 2 or 3 times just on this page along–but these fish are awesome. They look like they’re covered in peppermint graph paper. I’m in nerd heaven. Longnose Hawkfish grow to about 5 inches in total length, which makes them appropriate for most tanks sized ~30 gallons or more. They love to perch and have a lot of personality. 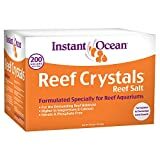 I don’t think you will want to start with them as the very first fish in your aquarium, but it certainly is appropriate for a beginner who has demonstrated the basic reef-keeping capabilities. 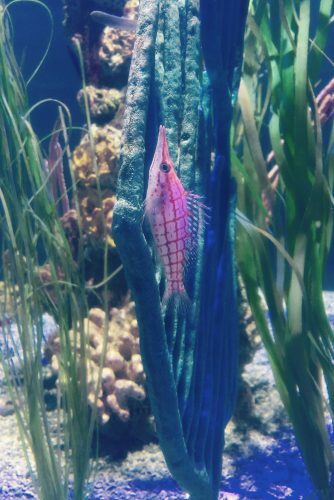 There are also a few caveats when considering just about any hawkfish species–you can’t keep them with small, walking invertebrates like shrimp or crabs because they will eat them. 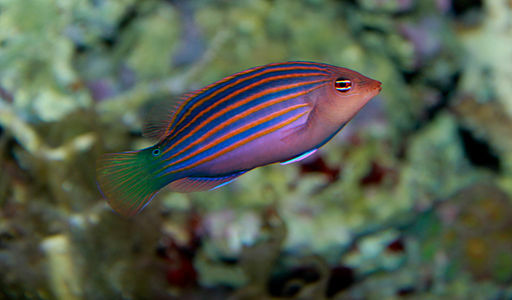 #6 on this list of the coolest saltwater aquarium fish is the Six Line Wrasse. This little wrasse-cal is a hardy, inexpensive and fun little trouble maker that will zip around your tank and clean up any small bristle worms. They also have the most amazing, and awesome eyes. Okay, I won’t say it here, but I’ve written about the neon goby before. They are one of my favorite fish. Darn it. There I go again. They have an electric-bright (neon) stripe and they are cleaner fish–they’ll swim around your other fish and pick off dead scales and parasites. This small, inexpensive, typically aquacultured fish is inexpensive, hardy and has a ton of personality. What list of beginner fish would be complete without a clownfish? Disclaimer here, many of the clownfish species and varieties could typically be considered one of the coolest saltwater aquarium fish for beginners–but here is my rationale for why I picked the Percula Clownfish. Percs are still pretty common, but not as common as the common clownfish (amphiprion ocellaris). 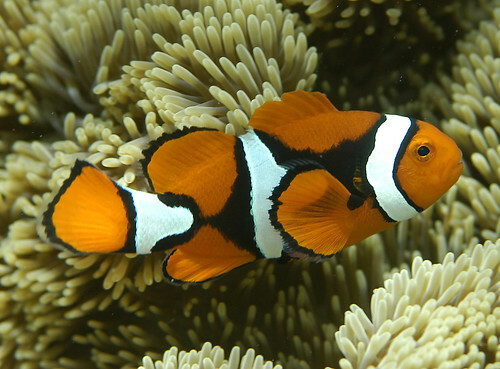 They are a little more expensive than common clowns, but not as expensive as some of the designer varieties, like the Picasso Clownfish, which is a variety of the same species. They are relatively smaller (compared with the larger species like maroon clownfish) and they are less territorial than some of the larger clowns. 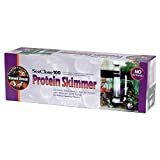 Overall, that makes them one of the coolest saltwater fish for beginners. Looking for a boldly colored, fearless fish to dash across your tank? 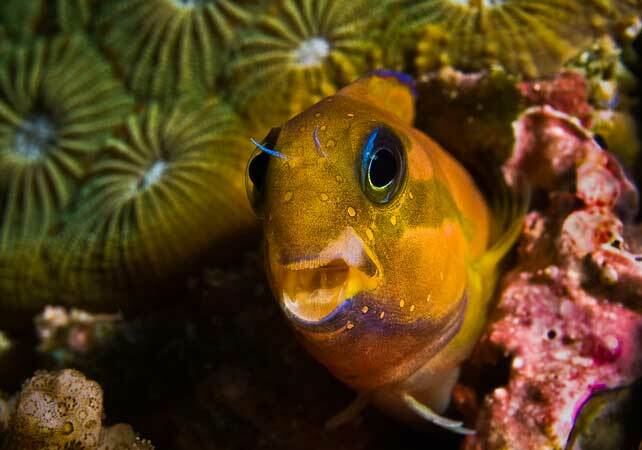 Look no further than the #3 coolest saltwater aquarium fish for beginners–the Midas Blenny. Named after King Midas, the legendary fish aficionado (that part wasn’t true but the rest is), the Midas blenny is relatively inexpensive, very hardy and beautiful to look at. They are slender fish that seem to ‘slither’ through the water–and their blue-ringed eyes will shimmer in the light. 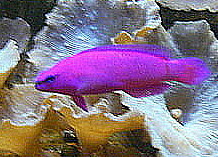 You’re going to want some purple in your tank–and the coolest way to put purple in your tank is to get the #2 coolest saltwater fish for beginners–the orchid dottyback, pseudochromis fridmani. 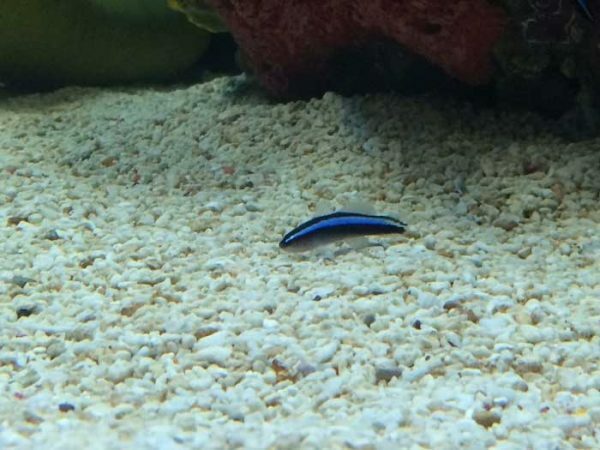 This dottyback is commonly aquacultured and will be a great addition to any tank about 30 gallons or larger. They are a brilliant purple color and they have a black line that runs up their head through their eyes. Drum roll please–oh wait, you probably already read the title above this paragraph. The #1 coolest saltwater aquarium fish for beginners is… (any guesses?) yes–the Banggai Cardinalfish. In the wild, these fish are only found in the Banggai islands, in Indonesia. They are on the endangered species list–but they are also one of the easiest saltwater fish to breed in captivity. They are the first saltwater fish that I bred and that got me completely hooked on them. Never buy wild caught banggais. That’s a bad idea. But these fish are truly amazing. they are 50% stripes, 50% fins and 50% big mouths. Totally cool. The only thing better than a Banggai cardinalfish is a tank full of them. Well, I hope this list of the 7 coolest saltwater aquarium fish for beginners gave you a few ideas about where to start. What do you think–are there any fish you thought should be on this list?